Originally I had planned to do a longer post about this hidden gem but events have conspired against me. I visited the old mill with a photo buddy Brian last July and it was great to see it again. 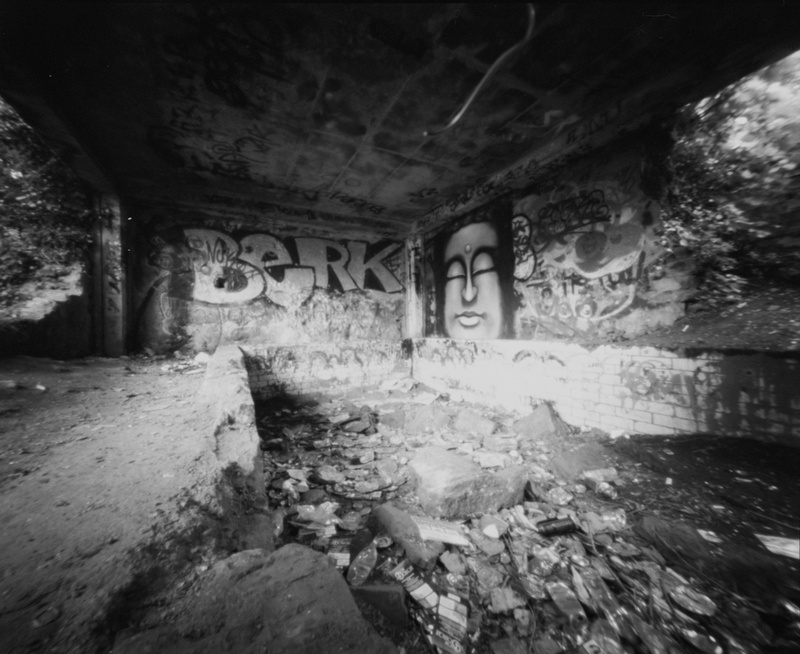 I had spent many hours of my childhood getting up to mischief in this area and it was a real treat to re-visit it through the eye of the pinhole. I shot one roll of film but the conditions were difficult as the light was rapidly changing as much of the valley is covered in tress and scrub. The shot above is one of the few on the roll that was successful and I have discovered today that my plan to revisit this site to make more images is no longer possible. The building has been demolished and is now just a patch of level ground. I have had eight months to go back and shoot this building again something that I had really wanted to do. So the lesson here people – do things when you have the chance as there may be no tomorrow.